This just has to be seen: Darth Vader Rap. I have been thinking a lot recently about methods of delivering large media files, e.g. video, mp3 etc, and playing them online. Think YouTube. You can either stream the file or use HTTP (progressive) download. My question is this: why would you want to stream a file? It seems to me that, with a few exceptional cases, streaming files is unnecessary. I am trying to come up with a list of pros and cons for streaming (large) media files. Can be used to broadcast time-sensitive events, e.g. a live concert. 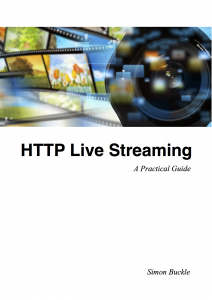 Requires “special” server-side software to implement the streaming protocol, e.g. RTMP. Can be expensive. More (server) hardware required to support connections etc ?? Even though I have only come up with a few negatives I am not convinced that streaming files is necessary in the majority of cases. Podcasts are a good example where just downloading the file is sufficient. Thoughts? Feel free to add any comments. Update: seems there are stream recorders out there that do allow you to save content that is streamed. This entry was posted in Zoloft reviews on June 5, 2007 by admin.